This 1,400 square foot, three bedroom, two bath home is the little brother of the Franklin and is a very efficient design. 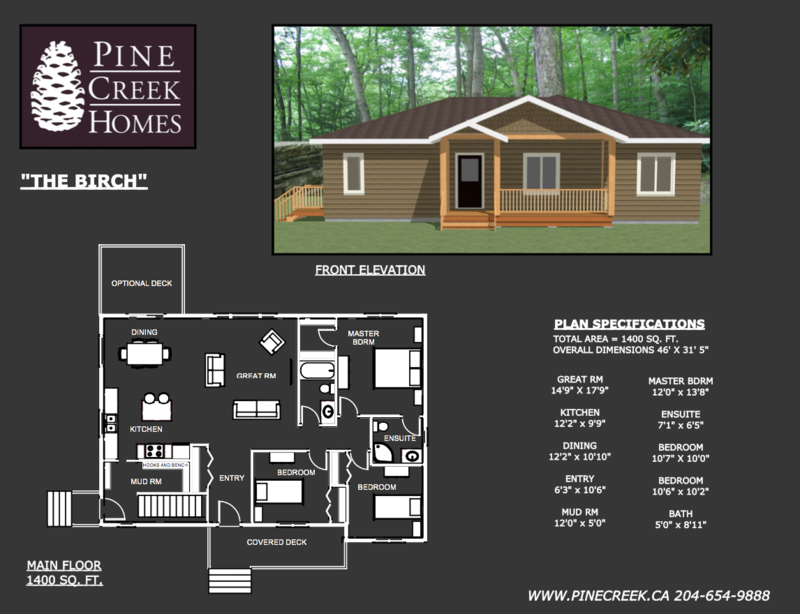 This plan was designed to keep a low cost per square foot, while still maintaining a spacious feel. The front entry has a covered deck to add curb appeal and keep the snow away from the door. It’s also a nice place to sit and enjoy a coffee or the fresh air. At the rear entry, you walk into a mudroom where you can go into the great room through the kitchen or straight downstairs. The mudroom entry has plenty of hooks and benches for coats and boots. Moving into the great room, this space is wide open and great for spending time with family, as well as entertaining. With a large window looking out into the back yard, there is plenty of natural light and you can take advantage of any views that your lot has to offer. The kitchen maximizes the available space and has an eat-in island, which is also great for food prep, serving food and entertaining. The dining room showcases the backyard view, with a large window and a patio door which could lead to a landscaped patio or an optional deck. 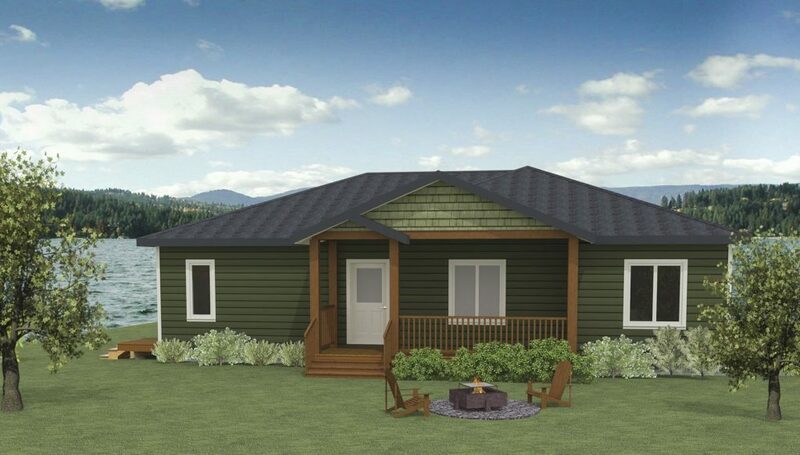 This design has a very spacious master bedroom, with its own ensuite and walk-in closet. The master also has a large window facing the back yard to maximize natural light and bring the outdoors in. The other two bedrooms, along with the second bathroom, are on the same side of the home as the master suite, which helps maximize efficiency in this layout.